Following on the heels of the successful New Testament for Everyone commentaries by N. T. Wright, John Goldingay, an internationally respected Old Testament scholar, authors this ambitious Old Testament for Everyone series. Covering Scripture from Genesis to Malachi, Goldingay addresses the texts in such a way that even the most challenging passages are explained simply. Perfect for daily devotions, Sunday school preparation, or brief visits with the Bible, the Old Testament for Everyone series is an excellent resource for the modern reader. 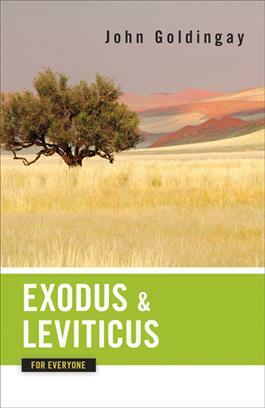 This third volume in Goldingay's series presents a rich overview of the action-packed book of Exodus and is an excellent guide to Jewish law as presented in the book of Leviticus.